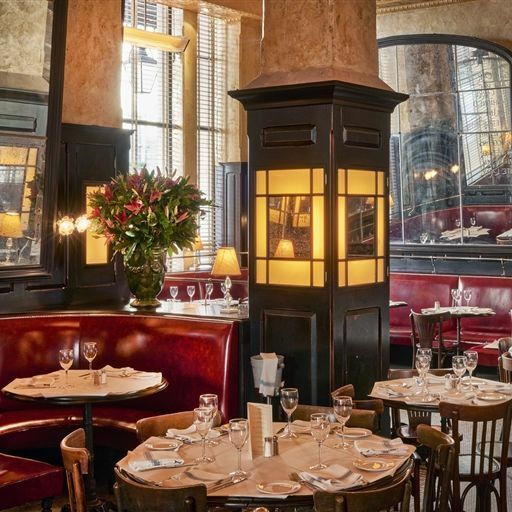 You must make bookings at least 5 minutes in advance of the time at Balthazar London. Afternoon Tea is served Monday - Friday from 3:00pm to 5:30pm, Saturday from 3:00pm to 5:00pm and on Sunday from 3:00pm to 6:30pm. 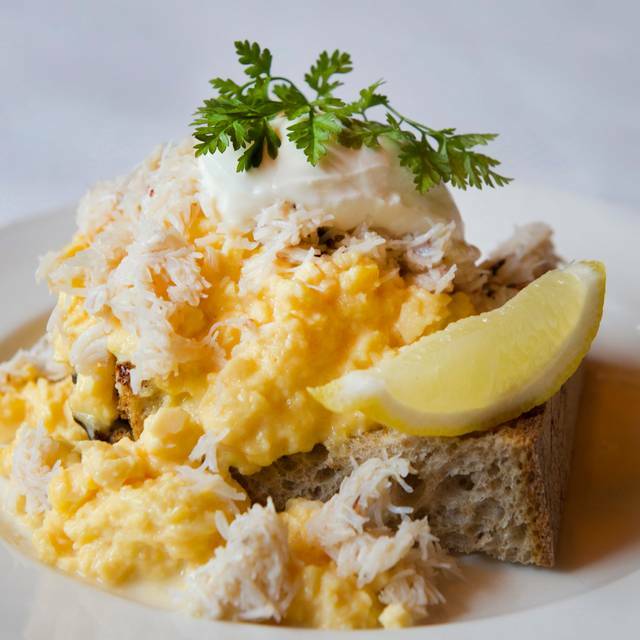 Brunch is served on Saturday and Sunday, with Petit Brunch from 9:00am and the main Brunch menu from 10:00am to 4:00pm. 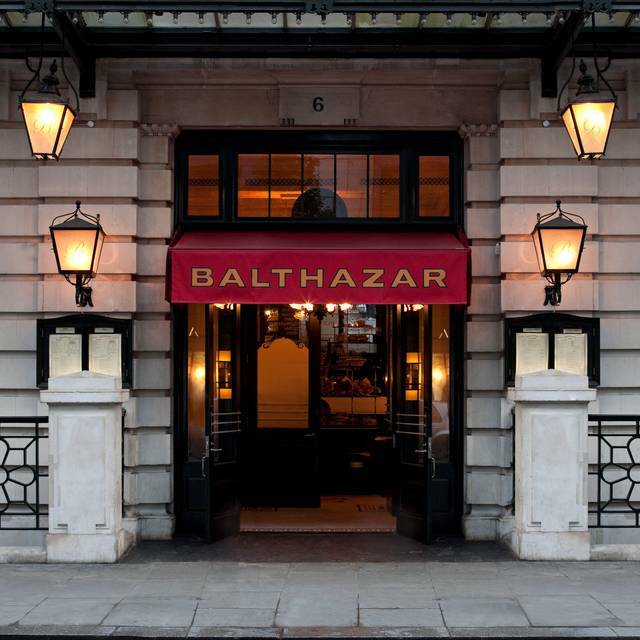 Balthazar is located in Covent Garden in the heart of Theatreland and a very short walk from the Royal Opera House. It offers a French brasserie-inspired menu with an abundance of fruits de mer as well as a wide selection of classical French brasserie and bistro dishes. 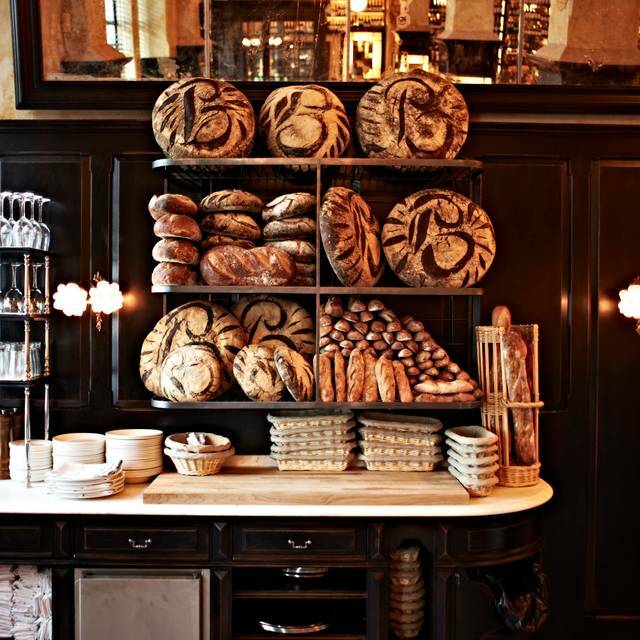 The Balthazar Boulangerie is housed next door serving its own house-made artisan breads, as well as a wide selection of homemade pastries, salads and sandwiches to take away throughout the day. In the heart of Covent Garden by the Opera House. Great location for shopping and foodies. Would recommend. My son wanted to have his birthday dinner here. We were a little hesitant as he’s turning 7 and it seems a bit formal for him but it was great!! The staff was wonderful and accommodating, the kids menu was great, we appreciated he choose a place with amazing food and wine for the parents, and they did a lovely happy birthday dessert for him which made his day. The atmosphere is so wonderful! I come here with friends pre-theater and it’s always a great choice due to food and service! 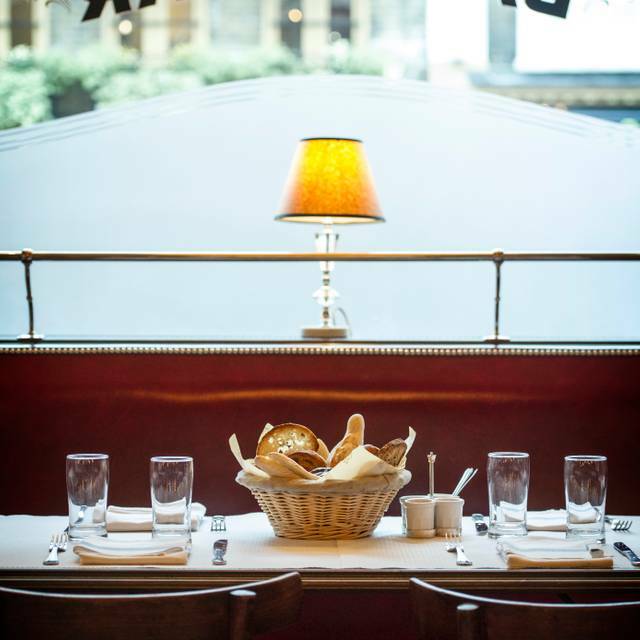 Always a pleasure to dine at Balthazar. Lovely food, friendly staff and great service. Took my friend there for her birthday brunch and she loved it. Place packed. Attitude of waiting staff felt forced rather than genuine. Starter was a few meagre prawns in a bowel of sauce. Main was over-cooked. With a half carafe of white it was over £100 for 2 ppl and not worth it. I won’t be rushing back. Always the central London go-to for a certain good meal well sourced, presented and delicious meal. Just great, what can I say? Very enjoyable evening - excellent food and wine, and service could not be faulted. 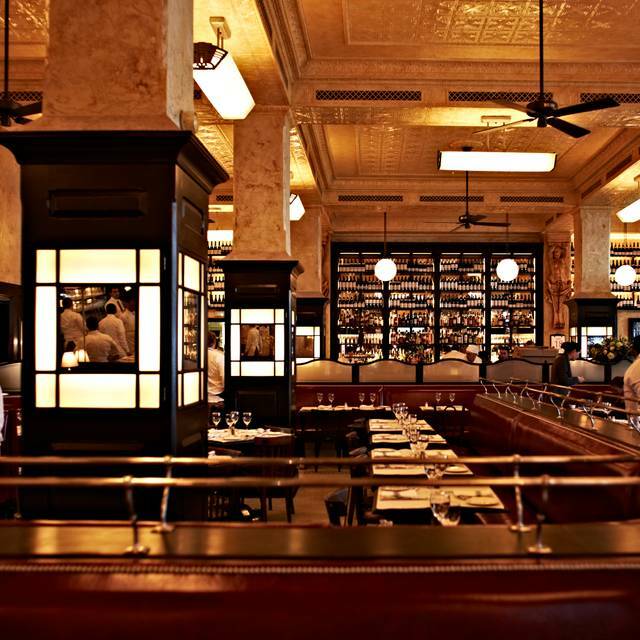 Balthazar has always been one of our favourites but the food seemed to go to a whole new level on our recent visit. Steak Tartare to die for and all 3 of our meals were excellent. Service was attentive even though the restaurant was busy. Always a good atmosphere even when dining early or late. We will be back as always. I’ve had breakfast here twice now and I really cannot fathom why I should pay over £25 for something of no discernible difference from the greasy spoon cafe on, say, The Embankment. The beans are out of the Heinz tin. Poached eggs ... well a poached egg is a poached egg. The second time around they were mysteriously filled with water but hey. One rather average sausage etc etc. My order was full English and two single espressos. Not very adventurous but it is breakfast. And I think every single component of the breakfast was OK. The second time round the plate seemed to gain some potatoes with sautéed onions. Not very nice. Better to combine them in a rosti I would have thought. No. Breakfast is available elsewhere at higher quality, and lower prices. Service is fine although on my first visit I had to ask three times for a second espresso. The table we were given was pretty small and led at a lot of juggling of plates and glasses etc when our meals arrived. Not suitable for 4 people! Despite it being VERY busy, the service was great. Potato soup thin and watery. Vegetable pancake cold and had to be sent back. Noise level so high it was difficult to have conversation. Best course was game terrine for starter. Food was amazing, as were the cocktails, and the vibe was nice. However, service was really poor - "Sorry it's busy, I forgot" isn't really an acceptable excuse for leaving our table 'wobbly' for most of the time we were dining. Also despite waiters all around us, and at one point four waiters stood right by our table, not one of them decided that it would be a good idea to clear our plates. In the end I had to ask a waiter to take them away, having finished our meals around 30 minutes earlier. Great service, ambience and food. 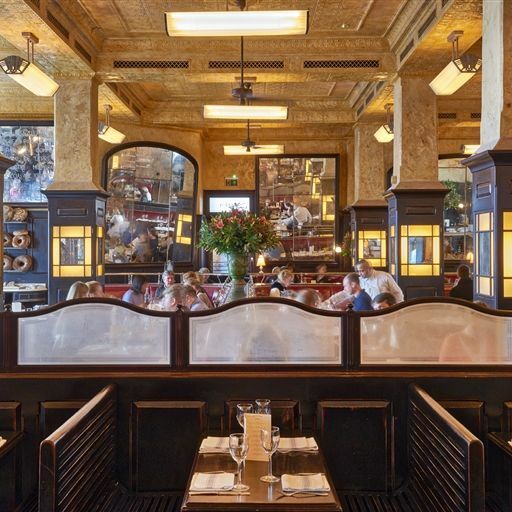 A proper buzzy grand bistro in the Parisian style. Great atmosphere & decor. Safe popular bistro & seafood menu. My small steak was cooked perfectly. Prices a bit high. Top location if going to ROH Covent Garden. Fabulous start to 50th birthday celebrations. Lovely food, perfect service. We went to Balthazar for my birthday dinner. Food was very nice. Service was very good even though the restaurant was very busy. Would definitely recommend this venue. We look forward to returning very soon. Amazing all the way. From the bread to the desserts. ALL OUTSTANDING ! Service was inconsistent. Had no idea who our actual server was, probably had 6 different people come by. Very confusing and annoying. Always a wonderful and friendly experience. From a quick lunch to birthday celebrations, it’s always a fantastic experience. Great place but service could be so much better. Attitude of the staff ( act like they are French) isn’t worth it. Hope they improve as the place is stunning. The NewYork venue is much better. I went here for Mother’s Day. Firstly the Food was incredible especially the starters and the desserts and the waiter was very friendly and helpful. Unfortunately the location of our table was quite disappointing. As there were 3 of us, the host sat us at a table for 4 which was tucked in behind one of the central columns in the restaurant. My mother ended up sitting in front of the column- which effectively meant she was staring at the column for the whole meal which was very disappointing for her. The restaurant was not that full throughout our dinner and it would have improved the experience if we had proper seating. I would recommend calling up the restaurant beforehand to ensure that you have a booth seat! Really enjoyed the ambiance and decor. Staff very friendly and helpful. Food absolutely delicious. Unfortunately my food was not hot. Only negative but disappointing in view of cost. I really enjoyed it but my boyfriend ordered a burger and asked what came on it. They did not specify a “burger sauce” and the burger was so wet that the bun fell apart. I really enjoyed the rest of the meal and they accommodated my dietary needs. I recommend getting condiments on the side! We took afternoon tea at Balthazar pre an early start opera at Covent Garden. The tea was delicious and hearty and sustained us through the evening! However the noise level was challenging. We arrived at 4 pm and there was very loud music blaring which we asked to be reduced. I am sure it is good to sit with loud music later on if you do not want to have any conversation but at afternoon tea it should be rather more sedate. 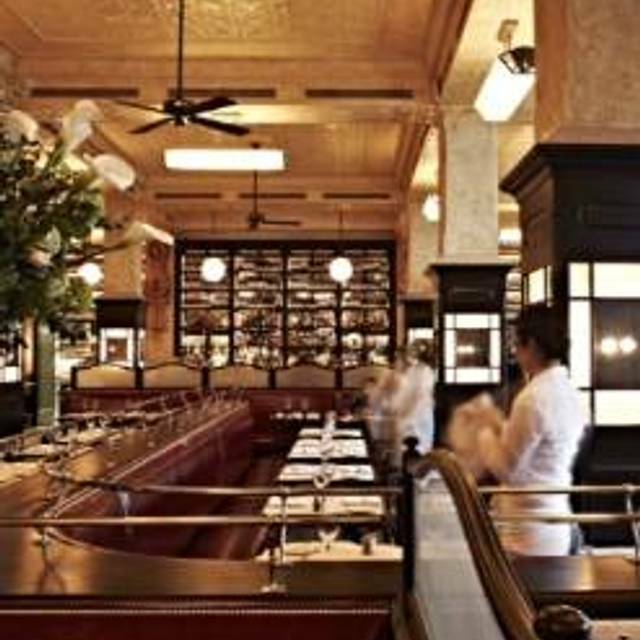 Balthazar is a wonderful oasis of comfort food in the old fashioned European style . It has a wonderful atmosphere and the style is like a French pairing you almost expect Can-Can Girls to burst out of the door and dance around the table. 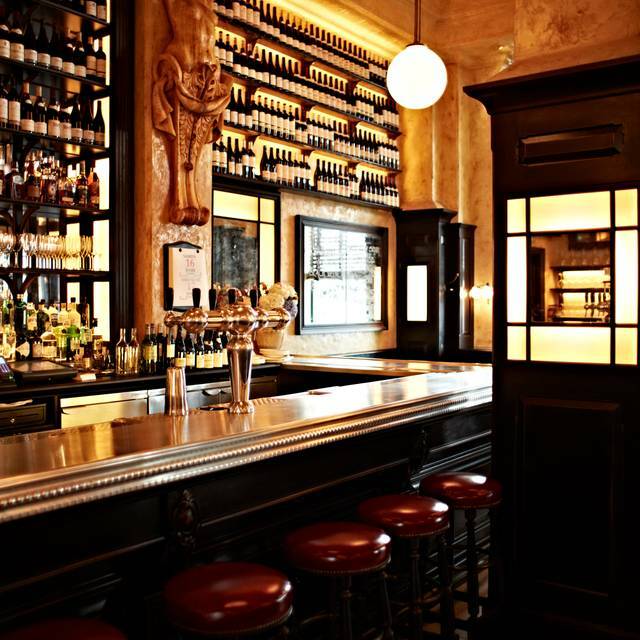 The service is delightful and charming and it is perfect place for after the theatre or Sunday Brunch . Great food but service is a little slow. Great ambience!!! Over-rated. Tables are so close together you end up on a double date with the table next to you. Food was good, but frankly I expect that from a restaurant, and I wasn’t blown away. Having eaten many times before, it was disappointing on this visit. Service was very off-hand and abrupt. Brunch was disappointing. We have one cup of coffee and weren't offered anything else to drink. They seem to just want to turn around tables as quickly as possible. Much better places in the vicinity for food for less money - they really need to raise their game. Excellent as usual once again. I've been here for breakfast and it was excellent. Unfortunately, I didn't have the same experience for dinner. My lobster was extremely small and not good value, service seemed overwhelmed and the whole dining experience including food was below average.